Is there anything more fun than a Shannon road trip? Really, who doesn't like sing-a-longs to The Beastie Boys in the family truckster and hitting the road with your best friend. We attended a co-ed baby shower near Lexington, VA last weekend, so we made the most of it and crossed a few American landmarks off our life list. First, we stopped at Thomas Jefferson's Monticello, where we had the best tour guide we've ever had at one of these historically touristy spots. He told us all the dirt on Ol' Tom and even made a few jokes about Tom's black market book collection. Apparently, America's 3rd president was really into the Colonial version of Napster, and after the Library of Congress was destroyed by the British during The War of 1812, Jefferson replaced it with bootlegged copies from Ireland. If you ever go - make sure your tour guide is a younger dude classy enough to wear a full suit and tie in VA humidity. He was hilarious and odd - great tour guide material. Yes - We've done enough of these History Hot Spots to be experts on a good tour guide: Colonial Williamsburg, Freedom Trail in Boston, Notre Dame in Paris (the tour in English was surprisingly similar to its American peers) and various other adventures. So when we were planning the food for our trip, it seemed only right to bring some traditional American favorites. Of course, Betty has more of these than you can imagine. Pages and pages of them actually… and then EUREKA! Three Bean Salad! Who doesn't love that? So we hit the road with Tofurky sandwiches, brownies, potato chips, and three bean salad. 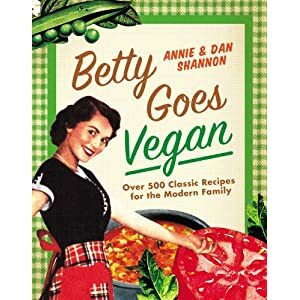 To be fair, Betty's was already vegan - but I couldn't help but tweak it. Put all the ingredients for Italian Dressing in a tight container and shake. In a bowl, mix Beans, Green Onions, Celery and Parsley. In another bowl, mix Italian Dressing and the remaining ingredients. Pour the Dressing Mix over the Beans Mix. With a slotted spoon gently stir the Beans and Dressing until it is completely mixed. Place in the fridge for 3 hours - stirring occasionally. Pack it up and hit the road! The Shannons at The Natural Bridge - The second stop for the weekend. Hundreds of butterflies, turtles, fish, frogs, snakes and kids. . . they came for the dinosaurs and cowboys. This is great! I made it for a birthday lunch at work and three people asked for the recipe.